Tucked away at a distance of about 120 km from Mumbai, Jawhar is a tiny hill station, perched at an altitude of 1,700 ft. It is a culturally rich region, filled with enchanting waterfalls and many beautiful viewpoints. Jawhar is bestowed with exotic flora and fauna in the thickets of its forest, a haven for nature lovers. The culture of the tribal community of Jawhar is reflected through the impressive Warli paintings. This style of painting is a type of tribal art, usually designed by the tribes of North Western Ghats. The winter months of October to February is the best time to visit Jauhar, since the weather is cool and pleasant. Jawhar can also be visited during monsoon if you wish to see the waterfalls brimming with all its glory, which is an unforgettable sight. But commuting during this time might get disturbed because the rains are irregular and heavy. Although Route 2 is shorter, Route 1 is advised since it takes lesser time to complete. Read further to know about the place to visit on the way from Mumbai to Jawhar. Thane is an important metropolitan city of Maharashtra. Due to the city's beauty, it also happens to be one of the most populous cities of India. One of Thane's most favoured recreational site is the Upvan Lake. Thane is located about 22 km from Mumbai, found on the way to Jawhar. The Upvan Lake hosts programmes like the Sanskruti Arts Festival that happens every once a year. It is also Thane's biggest source of water. Tikuji Ni Wadi is an amusement park that has pools, land rides like family train, giant wheel, dinosaur world and many such fun activities for kids and people of all ages. The park is open from 11 AM to 7 PM with an entry charge of Rs 700 per head for people above the age of 3. It is located about 3 km from Thane. Suraj Water Park is located 7 km from Thane, which has India's largest cave made of fibre-glass. Water slides, fountains and wave pools make up this water park. It is open from 11 AM to 6 PM on all days, with a charge of Rs 800 for adults and Rs 650 for kids. Lodha Dham, located about 21 km from Thane, is a Jain pilgrimage site. It has a mandir or temple, a library and a place for Jain devotees to get together for religious and spiritual discussions. It is a place of peaceful retreat, with tranquil surroundings. You can stop at Lodha Dham on the way to Jawhar for a quiet and spiritual break. Around 8 km off-route and 18 km from Lodha Dham, the town of Vasai can be reached. Also known as Bassein Fort, it is a huge fort built by the Portuguese around the 16th century. The fort which is now in ruins and overlooks the river Ulhas, reflects the architectural splendour of the Portuguese. This fort has been a place of shooting for many Bollywood movies. In fact, the popular song "Hymn For The Weekend" by the British band Coldplay was shot in this very place! Chinchoti Waterfalls is located 30 km from the town centre of Vasai. It is a magnificent spot with water plunging from a height of 100 ft. It is a sought after place of picnic amongst the people of Mumbai and Thane. Chinchoti Falls is also favoured by trekkers, with regular trekking expeditions taking place. The trek usually begins from Kaman village which finally reaches the breathtaking Chinchoti Falls. Varai Sativali is a natural hot water spring, that is maintained by Shri Shankar Mandir Trust. It is located 30 km from Chinchoti and is a great spot to stop at, especially if the drive so far has tired you down a bit. This is because it is a clear pool of hot water that has healing properties. So dipping your feet for a while will relax you before heading to Jawhar. You can even find a small hotel selling Vada Pav, one of Mumbai's favourite snack. The route from Mumbai to Jawhar is blessed with numerous waterfalls, of which, Pilucha Dhabdhaba at Vikramgad is one of them. With River Pinjal by the side, Vikramgad is a favoured tourist destination, mostly amongst the trekkers. This quaint waterfall is a must-visit if you're on the way to Jawhar because of its refreshing water that gushes from the mountain. 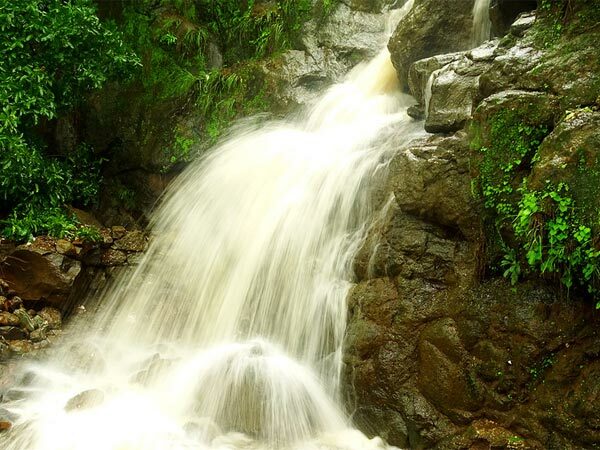 To have the best experience of this waterfall, visit during monsoon. Jawhar, the last stop of this road trip, is located 26 km from Vikramgad. The place with picturesque locations and Worli paintings has quite a few places of interest. The popular one is Jai Vilas Palace, also known as Rai Bari, is perched on a hill top. It belonged to the royal family of Mukne, and was built by Raja Yashwant Rao Mukane. Constructed with syenite stones, it is a beautiful pink palace that reflects the architectural blend of Western and Indian styles. As previously mentioned, Jawhar is a place dotted with many picturesque waterfalls and viewpoints. Dabhosa Waterfall is one of the highest waterfall of Maharashtra, that plunges on the River Lendi. It cascades through the rocky mountains, onto a crater shaped lake, a truly mesmerising view you do not want to miss! Kal Mandavi Waterfall, Khad Khad Dam and Sunset Point are some of the other places that have to be visited around Jowhar.